Haverstock Students Win In the Dragons' Den! 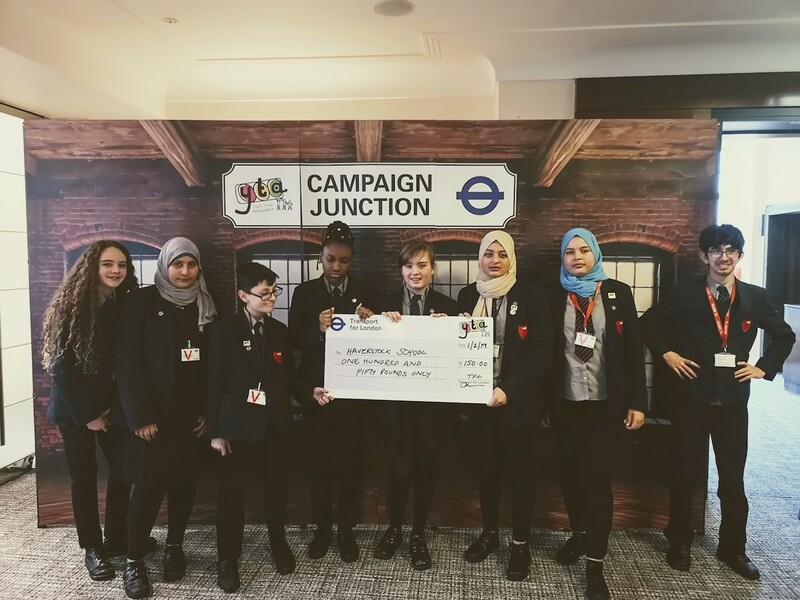 Last Friday our new team of Youth Travel Ambassador students went to Westminster to take part in the annual 'Campaign Junction' competition. 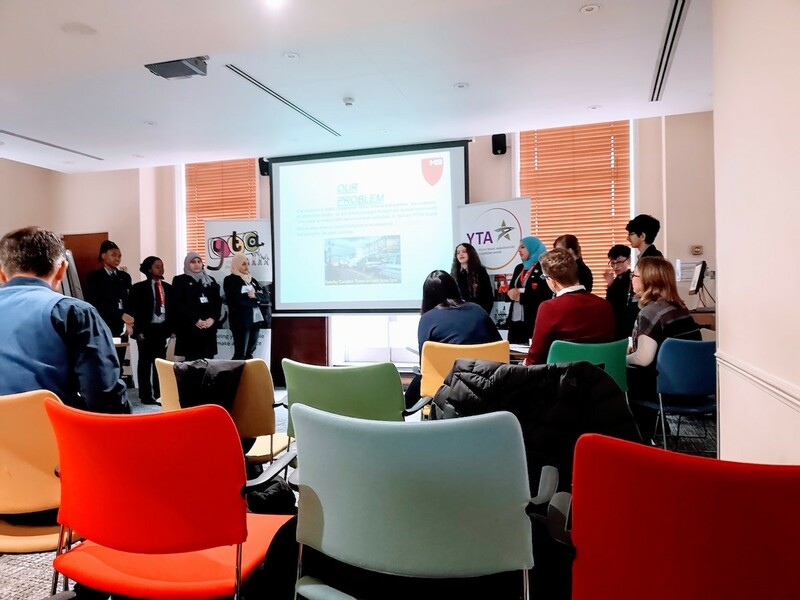 In this London–wide event, teams from 10 schools across London pitch their ideas for local campaigns promoting safe and sustainable travel. A panel of experts from Transport for London select the best pitches, which can then win up to £300 to fund their local project. "We judges were all very impressed with your presentation. We specially liked the walking competition idea, and the way you itemised your budget. Well done, Haverstock students!" "The students were fantastic. Their hard work and preparation really showed through in a very effective presentation. 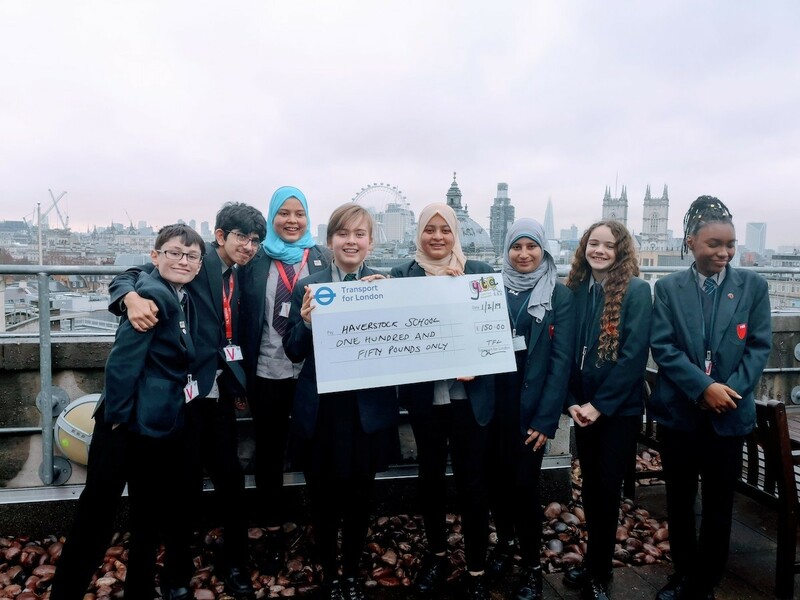 We are all very proud that Haverstock were the only team to not only win their pitch, but also to be given MORE money than they originally asked for."